The relay Model UFR1001E from ZIEHL industrie-elektronik has proven its reliability in Germany since its introduction with the new German grid-code VDE-AR-N 4105 in January 2012 in more than 20,000 plants for own generation of energy, in grids for low and for medium voltage. Konformitätsnachweis NA-Schutz bdew-Richtlinie "Eigenerzeugungsanlagen am Mittelspannungsnetz"
Its preset programs for different grid codes allow installation plug & play. 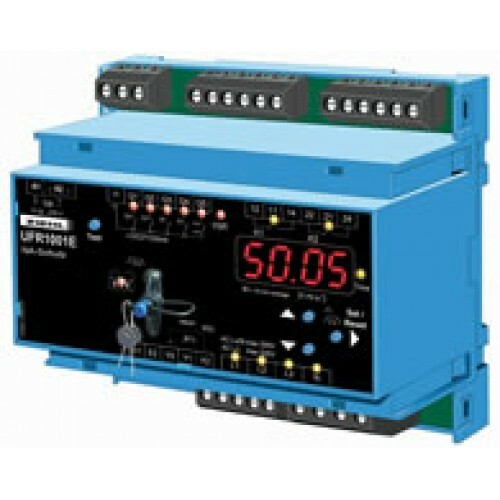 The UFR1001E monitors each 2 limits for under- and overvoltage and for under- and over-frequency and ROCOF (df/dt, rate of change of frequency). Limits and response times can be easily set in wide ranges.